Prof. Seghal completed his post-graduate studies in dermatology in 1964 from the All India Institute of Medical Science, New Delhi, India. Immediately after qualifying, he was selected to be a faculty member (lecturer/ reader) at the Banaras Hindu University, Varanasi, India, from where he opted to go as a reader to Aligarh Muslim University in Aligarth, India. 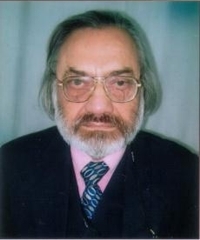 At the age of 33 years, he had the privilege of accepting the third chairmanship in India, first as Professor and Head of Dermatology and Venereology, Goa Medical College, Panji, Goa, India (1969 to 1978) and then Professor and Head of Dermatology and Venereology, University College Medical Sciences (UCMS), Safdarjung Hospital (1978 to 1981), Delhi, India Subsequently, he has been Professor and Head of Dermatology and Venereology, Maulana Azad Medical College/LNJP Hospital, New Dehli (1981 to 1991) – during part of this period, he was Acting Dean; Principal and Medical Superintendent and Director-Professor of Dermatology and Venereology, Lady Hardinge Medical College, New Dehli (1991 to 1993); and Director-Professor of Dermatology and Venereology and Medical Superintendent, UCMS-GTB Hospital, Dehli (1993 to 1994). Currently, he is Visiting Professor at the Skin Institute and School of Dermatology, Greater Kailash, New Delhi. His contributions to the specialty stand at 375 original papers, in addition to having developed several books in dermatology. He also maintains a private practice in New Dehli.